Please join us for an intimate dinner with special guest Guillaume Pouthier, director and winemaker at Château Les Carmes Haut-Brion. One of the Left Bank’s rising stars, Guillaume is responsible for one of the most exciting developments in Bordeaux today. With a historic property, visible from Haut-Brion itself, and a state-of-the-art new winery, designed by Philippe Starck, Les Carmes Haut-Brion is emerging on the fine wine scene as one of the key concerns to watch. We’ll begin with a champagne reception, enjoying vintage Roederer champagne, their first new cuvée in decades, which was produced in collaboration with Philippe Starck. As we dine, Guillaume will introduce us to five of his wines, finishing with the 1996 vintage. 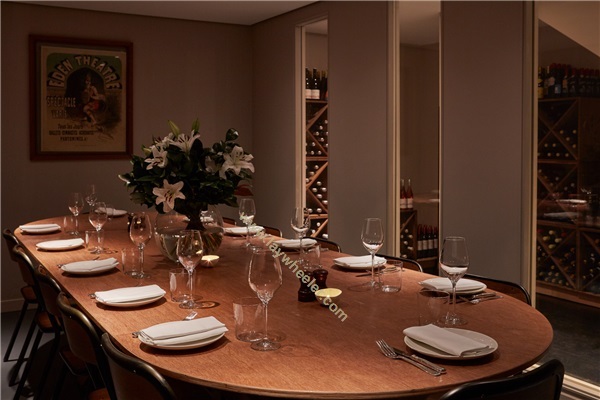 Dinner will be served in the private dining room at Michelin-starred Portland, run by Will Lander who is the son of wine and food writers Jancis Robinson and Nicholas Lander. Places are strictly limited to twelve guests.